It's going to be an exciting weekend! 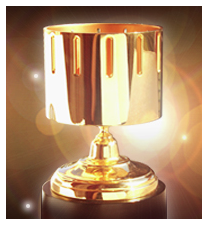 This Saturday, February 1st, at 7 p.m. PST, the Annie Awards will be streamed live over the internet. For those who don't know, the Annie Awards is the 'Oscars' of the animation industry with awards given out for various achievements in animation, visual effects, and video games. This year's host will be Patrick "Brock Sampson" Warburton and the ceremony will honor the achievements of such animation legends as Katsuhiro Otomo and Phil Tippett. The awards ceremony will be streamed via Jerry Beck's Animation Scoop website at www.animationscoop.com. Right now, the only link to the ceremony is posted on the front page of the Annie Awards website at www.annieawards.org. The link goes to a hidden page on Animation Scoop which I assume will go live shortly before the ceremony starts. You can read more about the Annie Awards on the ASIFA Hollywood website in addition to this article on Animation Scoop. Also, the Annie Awards trailer with highlights from last year's event is below. Annie Awards Trailer 720p h264 from ASIFA Hollywood on Vimeo. The following article, found on Animation Magazine's website, has stated that Shorts International and Magnolia Pictures have just announced that the Academy Award nominated short films: animation, live-action, and documentary, will start showing in theaters this January 31st. Please refer to my previous post to see the viewing dates and times for the DIA's Detroit Film Theater. And more on the DIA's screening can be found on their website. Information on the animated and live-action shorts can be found on this page. And information on the documentary shorts can be found on this page. 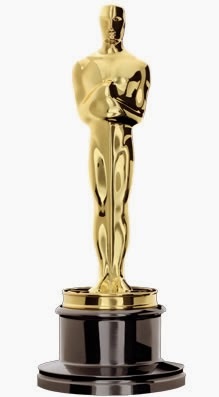 The 86th Academy Award nominees have been announced. I didn't see 'The Croods' in the theater as the character designs just didn't appeal to me. But, I'm a big fan of both Chris Sanders and Nicholas Cage and DreamWorks has put out some real gems recently, so will have to track down a copy and watch it before the awards ceremony. It's been getting mixed reviews in the animation community so I'll have to see first hand who's closer to my personal tastes. I'm happy to see that another Miyazaki film 'The Wind Rises' has received a nomination. Though I haven't seen it yet, according to Animation Magazine, the english dub version will be released in U.S. theaters on February 21st. I'm also extremely pleased to see the delightful 'Ernest & Celestine' receive a nomination. This was one of my favorite films from last year's Waterloo Festival for Animated Cinema and it is my personal hope that 'Ernest & Celestine' will walk away with the golden statue. But as happy as I am to see 'Wind Rises' and 'Ernest & Celestine' get nominated, I'm even more utterly disapponted to see that 'Rio 2096: A Story of Love and Fury' got passed over. While not the most accessible film, 'Rio 2096' was a powerful film that confronted the brutality that exists in Brazil's history all through the lens of two lovers who struggle to reunite throughout the centuries. It was bar none my favorite feature length animated film from WFAC and I had hoped that an Oscar nomination would spur a U.S. theatrical run. Hopefully though, we'll see 'Rio 2096' at least get a U.S. DVD or iTunes digital download release. This is a film that I would really like to share with my friends who can't make it to the festivals. I caught 'Feral' at the Ottawa International Animation Festival last year. And while a visually pleasing film with solid animation and art direction, it wasn't really to my tastes. Not a bad film by any means and is certainly Oscar worthy, it just didn't do it for me. Eh, everyone has their own subjective tastes in film. Disney's 'Get a Horse!' was a fun ride made even moreso by the opportunity to meet Lauren MacMullin and Eric Goldberg at Ottawa. Ms. MacMullin and Mr. Goldberg showed their short film to the crowd then gave two presentations discussing how they made their film. A very appealing event to a room full of animators! I don't recall seeing the other three films at the festivals last year, however, each year before the Academy Awards ceremony, the Detroit Institute of Art's Detroit Film Theatre shows a program with all the animated short film nominees. Additionally, Shorts International sells a digital download on iTunes with all the animated short film nominees. So there should be ample opportunities to view all the shorts before March and pick my favorite. On a side note: I'm particularly pleased to see "Let It Go" from Frozen receive a nod for the 'Best Original Song' category. While I'm not a big fan of musicals, Idina Menzel's rendition of "Let It Go" during Frozen was easily the best song I've heard in an animated film in years. I think it would be fantastic to add another iconic Disney song to previous winners "You'll Be in My Heart" from Tarzan, "Colors of the Wind" from Pocahontas, "Can You Feel the love Tonight" from Lion King, "A Whole New World" from Aladdin, "Beauty and the Beast" from Beauty and the Beast, "Under the Sea" from the Little Mermaid, and "When You Wish upon a Star" from Pinocchio. Animated Thoughts: "2013: The Year in Review"
1. Produce one animated film for for the 2013 festival circuit. Neither film was sent out to the festival circuit as I didn't think that they merited it, but both films were fun little projects that helped me learn more about After Effects CS6 and they did get screened publicly at the ASIFA Central International Animation Day screening and Toronto Animated Image Society summer screening. Well, this year I decided to go the 'bite the bullet route' and I joined Adobe's Creative Cloud. While I'm not too thrilled with the direction that Adobe is going--monthly subscription model--I can't argue with the ease of upgrading their software to the latest version. I'm currently re-learning After Effects and expanding my existing knowledge of Acrobat, Premiere, and Audition. This is a long-term goal, so I'm going to continue working with these software packages and expand my filmmaking toolkit. One thing I did learn was that upgrading to CS6 was a wise decision. Given the fact that I'm using Premiere CS4 at work for my forensic animation and video projects, I learned that I could do all the editing work at the main office where my boss could look over my shoulder and approve the changes and final project. Then, I'd bring the Premiere and video files home to create the final output videos and burn them to DVDs. The time saved was enormous! On average, what would have taken me seven plus hours to render on my computer at work would be done in about fifteen to twenty minutes on my home computer. My productivity for the day job immediately took a quantum leap and the boss is now looking into upgrading my work computer. I decided to sacrifice this goal--kind of. An opportunity presented itself in 2013 and I ran with it. After talking to Ellen Besen and Lynn Wilton, I decided to launch a second blog called 'Animated Women' which would become a repository for all my March "Women in Animation" interviews. As I worked on interviews, researching the history of Women in animation, and posting news about Women working in the field of animation, the project blossomed. So, I'm now working on a lecture designed to teach girls about the rich history of women in animation from the late-1800's to the present date. If it's accepted into the lineup, I'll be presenting it at this year's local anime con. Wish me luck! 1. Produce one animated film for the 2014/2015 festival circuit. I have two paint-on-glass films in pre-production, but paint-on-glass is a labor intensive process, so they're not films I can just bang out in a year. Going to have to take a long-term perspective on these two films, but I'll get them done. More of the same: learn the software, take the tests, learn how to be a better instructor. Fortunately, since it's based on learning software and learning how to become a more effective public speaker, breaking this goal into sub-tasks is a lot easier. This is a five-year project that I've committed to. Step one is to get the blog up and running, which I did this year. Second was to expand on my research material, which I also accomplished this year--as evidenced by the stack of books and files in my office. But in the future, I'd like to look at producing a podcast of interviews with women working in the field of animation as well as a documentary. Both have merit and both require a lot of work to accomplish. I think that over the month of January, while I'm preparing the latest interview, I'm going to take a serious look at what it'll take to produce both. Having already looked into what it would cost to produce a podcast, it's time to call up a couple friends who are documentary filmmakers and take a look into going the film route. In any event, I'm really excited about this "Animated Women" project and can't wait to see where it leads. As my freelance historic animation work is starting to pick up again, I'll have to be a lot more focused this year than I was during the last, but I have to say, I'm really excited about 2014! "Nothing in the world can take the place of persistence. Talent will not; nothing is more common than unsuccessful men with talent. Genius will not; unrewarded genius is almost a proverb. Education will not; the world is full of educated derelicts. Persistence and determination alone are omnipotent. The slogan “press on” has solved and always will solve the problems of the human race."